The cover contains transparency which is flattened during our processing and may result in a slight change in appearance. 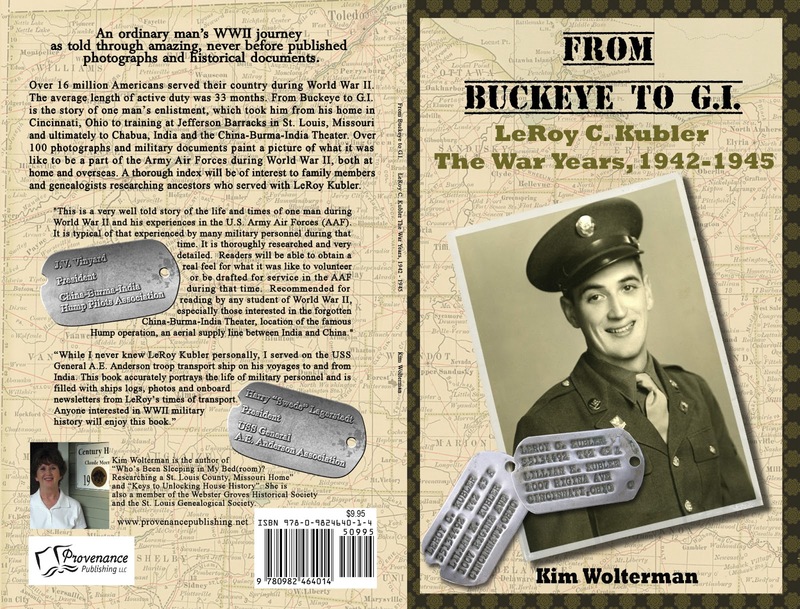 The cover contained spine text that has been removed as we cannot accommodate the inclusion of spine text for books with less than 101 pages as the text will likely wrap to the front or back cover. We recommend you review a physical proof of your book to ensure you are satisfied with the adjustments made. Otherwise, you may remove the spine text on your original file and resubmit it for publishing. Because I had worked with a professional book designer on both the interior and cover designs for my book, I was pretty surprised that they said an image on the cover was less than 200 DPI. And I was a bit concerned that they had removed the text from the book spine, mostly because I was worried about what it would look like. Did they leave the graphic (for lack of a better word) that was under the text? Or did they replace the spine with a solid color? I shot off an email to CreateSpace regarding the spine, and I had a response in less than 24 hours. Essentially they leave the spine just like you sent it to them; they simply remove the text. With that reassurance, I ordered a proof yesterday. (You can view on online proof at no charge right away, but that doesn't give you any idea about the actual printing quality.) Last evening I received an email that the proof had been mailed to me. The cost of seeing a print proof was $2.15 plus $3.59 for shipping. The local printer who did my first run of books charged me $35 for set-up and a proof, and the unit price per book was higher as well. 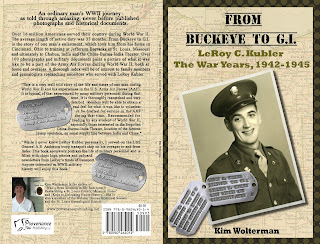 While I was on a roll with CreateSpace I decided to go ahead and submit From Buckeye to G.I. 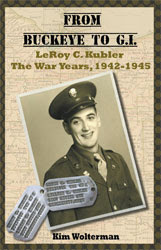 LeRoy C. Kubler The War Years, 1942-1945. Originally I went through Lightning Source for this book because they could print the books out as they were ordered, and I wouldn't need to keep a bunch of books at my house. Also they have an expanded distribution system and can supply books to Amazon, among other places. However Amazon doesn't work that well with Lightning Source (or other competitors), and in my case the book always shows a 1 to 2 week shipping date. In this day and age of immediate gratification, most people will just move on to the next book rather than wait. I received a couple of minor error messages on formatting (shame on you, my original book designer who set it up this way), but with Adobe Acrobat Pro I was able to correct them myself. 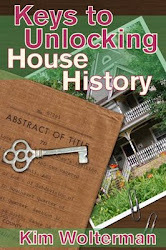 Then I resubmitted the PDF and got an approval back from CreateSpace. I ordered a proof copy, which was the same price as my other book, and it was put in the mail to me today. In summary, I would say that my experience with CreateSpace has been quite favorable so far. But let's see what the proofs look like - as they say, the proof is in the pudding. Or perhaps I should say the pudding is in the proof?